Hangover cures around the world range from the eminently sensible to the utterly bizarre. Some cultures opt for masking the effects of drink with yet more alcohol while others believe that eating something truly horrendous takes your mind off the headache. Here are some of the strangest and most horrible hangover remedies from around the globe. Puerto Ricans fight off their rum-induced hangovers by putting slices of lemon or lime in their armpits. This apparently works best if you apply the lemon before going out drinking. It is also important to only put the citrus fruit under your drinking arm. Whether it works or not at least everyone starts the night smelling lemony-fresh. Avoid this remedy if you have just shaved under your armpits! 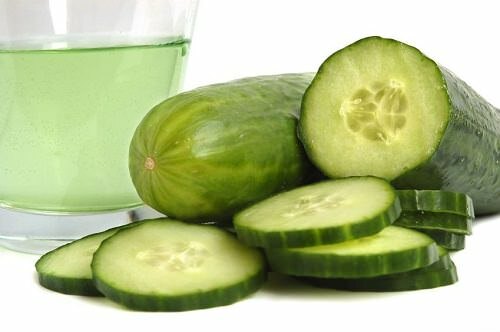 In Russia, where hangovers are a national hobby, the morning-after cure of choice is the juice of a whole cucumber downed in one. Use the left-over pulp as a face mask to refresh your drink-ravaged skin. Several nations believe in the power of pickles to fight off a hangover. The Germans and Dutch swear by sour fillets of fished wrapped around onion and gherkins. This pickled concoction is known as a roll mop and is part of the traditional German hangover breakfast called the katerfrühstück. In Poland people don’t bother eating the gherkins but down the pickle water instead. In Mongolia the morning-after pickle of choice is sheep eyes. Hair of the dog is the homeopathic remedy for hangovers. It is based on the theory that a little more of what harms you helps solve the problem. People all over the world and James Bond himself swear by more alcohol the morning after the night before. In the film Thunderball, 007 opts for analgesics and hair of the dog. He states that the best hangover cure is “a couple of aspirins and a prairie oyster”. For a classic prairie oyster mix one part vodka with three parts tomato juice and season with Worcestershire sauce, Tabasco sauce, salt and black pepper. Add a whole, raw egg and swallow in one. The risk of salmonella poisoning from raw eggs means that the prairie oyster is probably best left to fictional spies. Opt instead for a tastier and less dangerous hair of the dog recipe from Namibia called buffalo milk. Make one by mixing ice cream and cream in equal parts and adding a shot each of dark rum, cream liqueur and spiced rum. Serve over ice and drink slowly. Cowboys in the Wild West fought back against the effects of saloon liquor with tea made from rabbit droppings. Whether it works or not, jack rabbit tea is certainly a frugal way to combat a hangover! This secret formula has been helping the British aristocracy clear their heads for over 200 years. Although the exact recipe is a secret it contains cardamom tincture, spirit of ammonium and extracts of gentian, cloves and camphor oil. Mr. Harris’ Original Pick Me Up was a favourite of the Queen Mum and she lived to be 101 years old. These days it can only be bought in one chemist’s shop just of St. James’s Street in Central London. These are only a few weird hangover remedies that have been tried in various places and times. Have you ever tried any of the strangest hangover remedies?